Finding work in these demanding times can be a hard task for anyone. On the employer’s side of the table, what proves to be even more challenging is finding the right people for a certain job. Hiring good personnel is integral to building a business and ensuring it endures. According to Bloomberg, employees are like a fulcrum. They can have a tremendous effect on sales and profitability, both positively and negatively. One good employee can draw in 100 customers. On the other hand, one bad employee can drive away 100 probable clients. Either way, the success or failure of a business can often boil down to proper recruitment and an effective hiring process. There are times when employers feel that they hired the wrong person for the job. This ideology may come from having the wrong idea about the hiring process. According to Julie Tappero from West Sound Workforce, it’s not uncommon for a job to evolve over time around a current employee’s skill set. A bookkeeper with a creative side might end up being the person who creates marketing flyers and brochures for a business, even though these two skill sets are not typically related. To that end, employers should specific and clear ideas on the job description of each new hire and stick with it as much as possible. In order to sift through the millions of talents out there, it is critical to know how to narrow down to the best candidate for the job. These are just the first steps in getting there. The population growth over social media has boomed over the years and shows no sign of slowing down. This is why people involved in the hiring process should be aware of the ways on how to effectively use the internet in spreading the word about a job vacancy. Online recruiting is all about finding quality candidates and making connections with them. A lot of these prospective employees tend to hang out on social media looking for opportunities, and most companies try to connect with them through these avenues. However, not all are doing it successfully. Every company should develop its own unique social media recruiting strategy. The key to recruiting on social media is to cut through the noise and find the right people. Being active in LinkedIn groups and using hashtags are great ways to get the job openings in front of candidates who may want to apply. If a business owner in New York wants to hire the right people, then using the hashtag #NYChiring can help one reach more candidates over Twitter and Facebook. This should not be the only method. It’s important to diversify job outreach and using more traditional job sites as well. 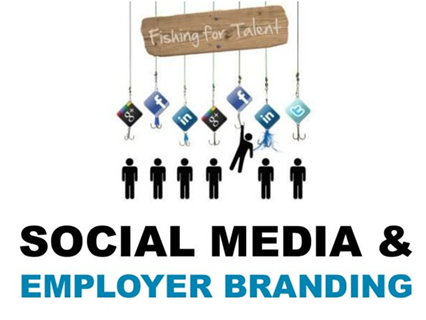 Social media recruiting goes beyond posting open roles from company accounts. Companies should also consider sharing content that showcases their culture and goals. People love talking about companies with unique cultures, so this type of content often gets a lot of shares. Another good thing about the internet is that anyone can find specific candidates by perusing niche networks and forums. For example, developers are sharing knowledge on GitHub and StackOverflow. Marketers are bouncing ideas off each other on Moz. The next great employee might have already provided a thought-provoking answer on open forums like Reddit. Entrepreneur.com describes hiring as one of the biggest challenges companies face, and, at the same time, one of the most rewarding learning opportunities. Executing it well the first time can help employers avoid costly and time-consuming mistakes. If they improve an area effectively through a new hire, it can have a positive impact on the existing team. The best way to go about hiring in a less inexpensive but more effective way is by tapping employee networks. Spread information about position availability, or eventual availability, to each employee so that they can constantly look for superior candidates in their networks of friends and associates. Sometimes the best way to hire an employee is not funneling money into job boards and recruiters. Some of the old-school methods still work. Referrals remain a great way to attain a hire. Incentivizing current employees with a cash bonus or other reward for referring a successful candidate is a great way to build out a team of employees who work well together. Internships are a staple of the college experience. Some colleges require that their students complete an internship prior to graduating, while others strongly suggest that students gain valuable real-world experience. It is well known that most employers use their internship pool of candidates first when considering new hires to fill full-time positions within the company. Most students would agree that finding a summer internship is a great opportunity. However, many employers look far beyond just the internship when recruiting for the summer. Although students may be focused on only finding a summer internship, employers often have more long-term goals in mind and are looking to use this time to build on its future workforce. In fact, recent studies suggest that internships that are paid often result in getting more future job offers and higher salaries down the line. Those highly coveted paid internship positions may have value beyond the small salaries they purport to pay college students. A survey by the National Association of Colleges and Employers (NACE) has found that paid internships are more likely to lead to a job offer and a higher salary than internships that don’t pay. Internships are, in a sense, a way to interview and train the next set of new hires for the organization. What better way to know how a person is going to perform and fit into an organization than to have them already doing work for the company in the form of a summer internship. This is exactly what employers should do to get the best people in the job.